Zircon is most famous for its colorless stones, which closely resemble diamonds and have been used both intentionally and mistakenly in their place. Although colorless when pure, impurities will produce yellow, orange, blue, red, brown and green varieties. 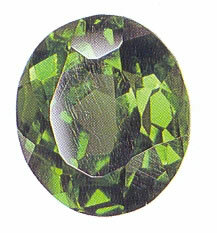 Zircon may be distinguished from diamond by its double refraction and by wear and tear on its facet edges. Zircon assists you in understanding the need for change. The guidance you receive may show how you would develop more strength, clarity and freedom as you move in new direction. The guidance may also clarify the reasons that you need to shift, by pointing out the needs that you are honoring.